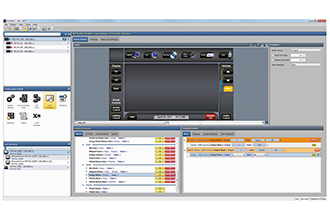 Extron has launched its Global Configurator Professional software for control systems and applications that range in scope from single projector classrooms to large and elaborate control system designs. It features conditional logic, variables and macros. The Controller Groups feature expands AV system design potential for much larger systems requiring multipleIP Link Pro control processors. Global Configurator has two modes. Global Configurator Plus is designed for smaller scale applications requiring one control processor and one control interface, and is already available for download by customers with Extron Insider access. Global Configurator Professional duplicates all of the powerful features within Global Configurator Plus but is suited for applications requiring multiple control processors, enhanced functionality and advanced configuration. Access to Global Configurator Professional requires Extron Control Professional – ECP certification. Here are all the details on the new software.